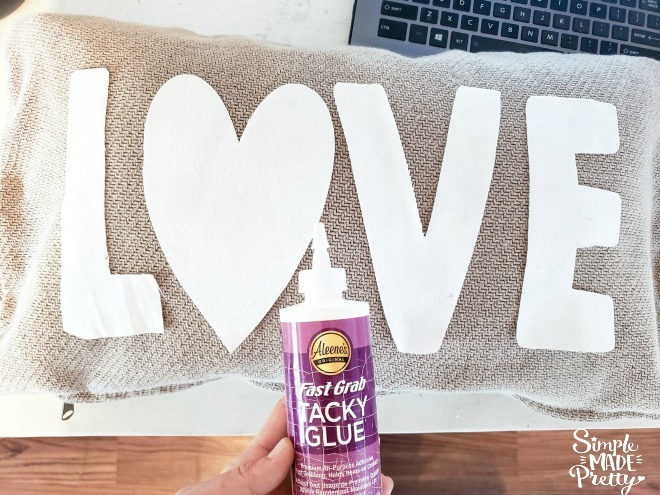 Since Valentine’s Day is around the corner, I decided to be creative and make a fun decorative pillow to celebrate the season of love 🙂 If you have a Cricut Maker Machine, you will love this tutorial and #5minutecraft with Cricut Maker Projects: Cutting Fabric Letters With Cricut! This is such an easy project for the Cricut maker machine! 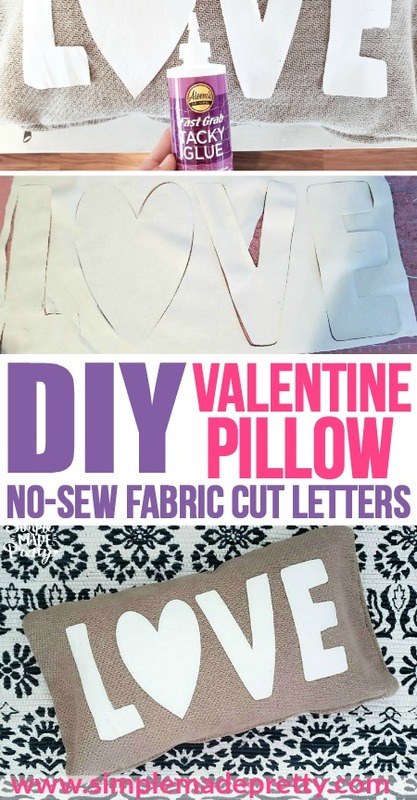 You don’t need to know how to sew because the letters are glued to the pillow cover! Although I do offer some fun Cricut maker sewing projects on the blog (and free SVG files to make them! –>>If you don’t have a Cricut Maker Machine, just use a large alphabet stencil (like this) on fabric and cut by hand. ✅Love Cricut and Crafting? 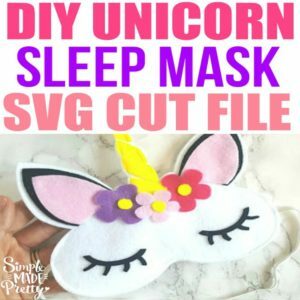 Check out my Cricut Course here! I used my Cricut Maker Machine to make this project. 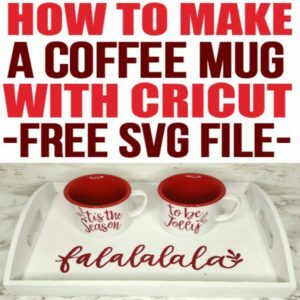 Just upload the SVG or PNG file in Cricut Design Space, size, cut, and apply! 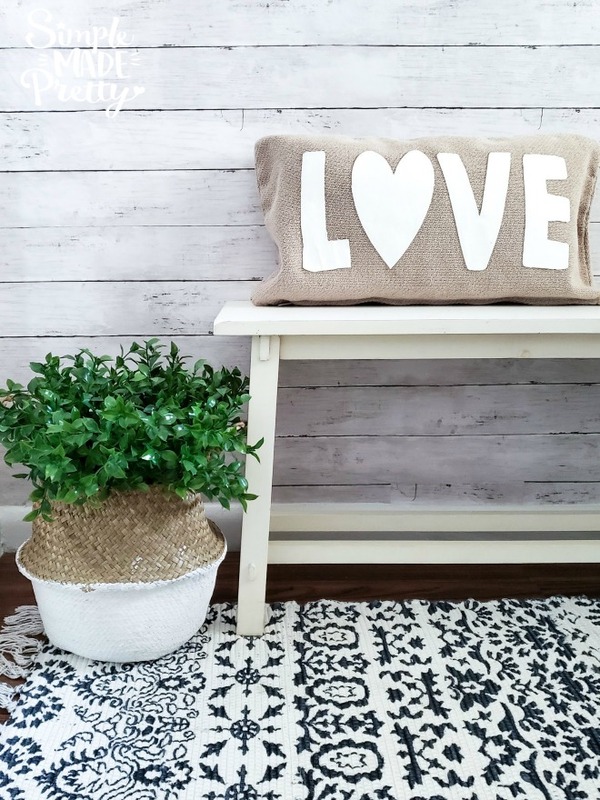 If using a Cricut Make Machine, search for #MA166015 (the LOVE image) in Cricut Design Space (Check out my Cricut Courses Here to learn Cricut hacks and more tips!). Use the Slice tool in Design Space to remove the “O” in LOVE. Add a heart image and size to replace the “O” in LOVE. Select the entire image and Weld together. Size the image in Design Space according to your pillow size (mine was sized 15″ x 7″). Now you are ready to cut! Place the fabric on the pink fabric Cricut cutting mat and choose “denim” as the material type. Choose to use the “rotary” blade on your Cricut Maker Machine. Once the fabric letters are cut, use Aleene’s Tacky glue to adhere the fabric to the pillow. **Please note: I haven’t tested to see how this pillow holds up in the laundry but Aleene’s tacky glue is amazing so it might hold up well! If not, just glue the fabric letters back on after washing (and only lay flat to dry!). 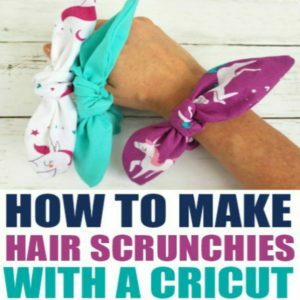 ✅Learn more Cricut Hacks and Secrets! 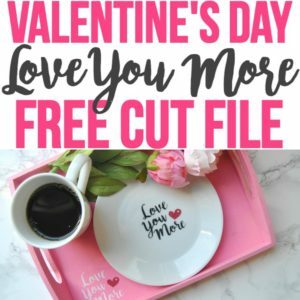 Take my Cricut Courses here! 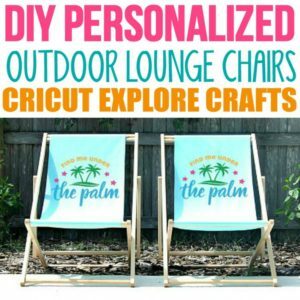 These DIY die cut fabric letters will inspire you to cut fabric letters with Cricut Maker Machine! 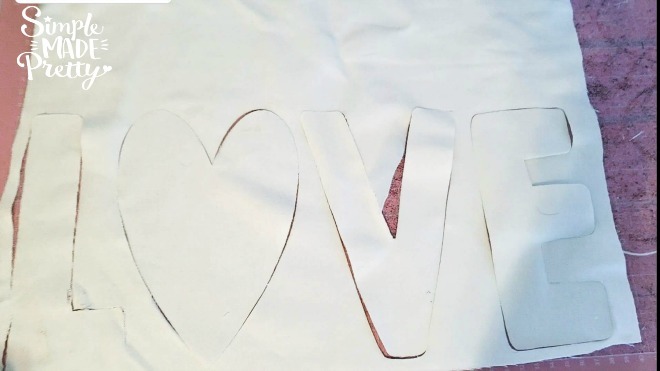 Cutting letters out of fabric and making your own fabric letters is so easy with a Cricut Maker Machine, but cutting letters out of fabric is also easy with an oversized alphabet stencil! 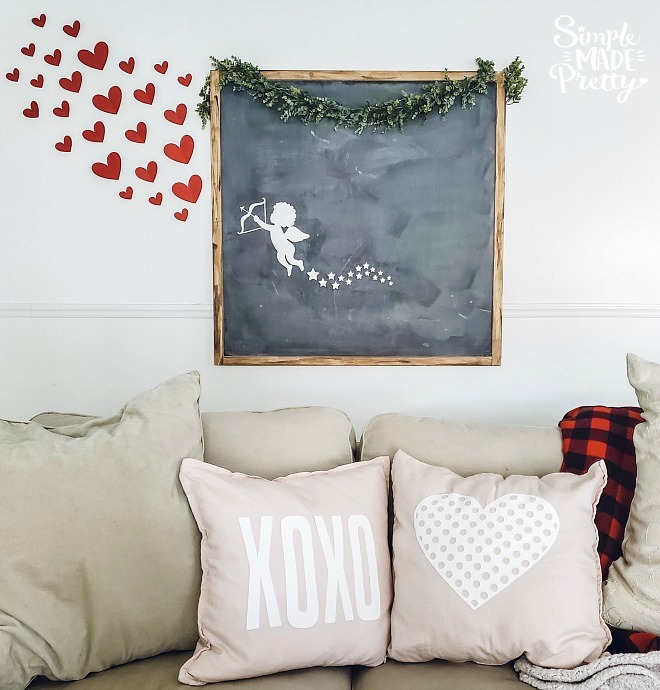 Do you like the Cupid shooting hearts in the above picture? –>>You can download the SVG file to make the Cupid shooting hearts right here! Grab Other Free SVG Files! I used my Cricut Maker Machine to make this project. Just upload the SVG or PNG in the program you use (I use Cricut Design Space), size, cut, and apply!